Bus rides are served by two providers: Fresno Area Express (FAX) and the City of Visalia. 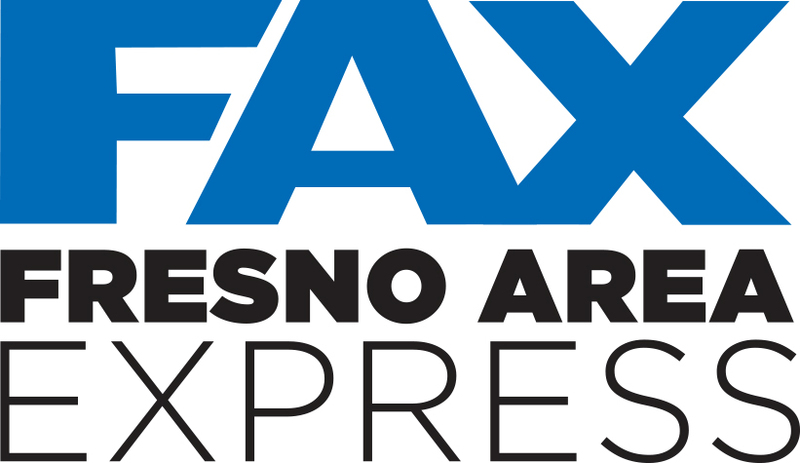 Fresno Area Express (FAX) serves two routes that ride between the city and the airport, and each trip may take about half an hour. Thus, Route 26 Palm / Butler rides between the airport and North Fresno moving across Southeast and Downtown Fresno. Meanwhile, Route 39 FYI/Clinton rides between the airport and West Fresno. The fee for a one-way ride is $1.25, it is $0.60 for passengers with disabilities, Medicare cardholders, seniors over 65 years, and is free of charge for children under age of 6 years. The one may also purchase the 31-day pass, 31-day reduced fare pass, ten ride card, and ten rides reduced fare card, one ride card, or 1 ride reduced fare card. 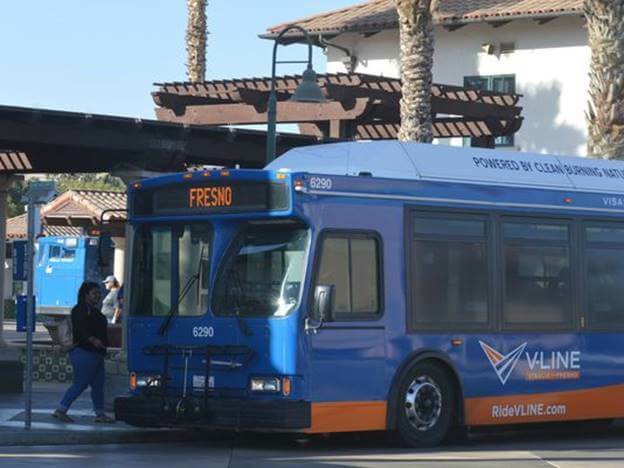 Meanwhile, the City of Visalia offers V-Line buses running from the airport to the Visalia Transit Center and the Visalia Airport. The fare for a single ride is about $10.00, $90.00 for a 10-ride punch pass, $160.00 for a 20-ride punch pass, $280.00 for a 40-ride punch pass. However, for students, seniors, disabled, and veterans the fares are reduced to $9.00 for a single ride, $80.00 for a 10-ride punch pass, $140.00 for a 20-ride punch pass, $240.00 for a 40-ride punch pass. Yosemite Area Regional Transportation System (YARTS) offers bus rides from the airport to the main national parks of California. The round-trip fare is $15.00 from Fresno to Coarsegold/Oakhurst, $20.00 to Tenaya Lodge, $30.00 to Yosemite Valley/Mariposa Grove/Wawona Store. The one-way trip fare is $8.00 from Fresno to Coarsegold/Oakhurst, $10.00 to Tenaya Lodge, $15.00 to Yosemite Valley/Mariposa Grove/Wawona Store. Moreover, the fares are reduced to veterans, disabled, and seniors. Thus, the round-trip reduced fare is $10.00 from Fresno to Coarsegold/Oakhurst, $14.00 to Tenaya Lodge, $20.00 to Yosemite Valley/Mariposa Grove/Wawona Store. The one-way trip reduced fare is $5.00 from Fresno to Coarsegold/Oakhurst, $7.00 to Tenaya Lodge, $10.00 to Yosemite Valley/Mariposa Grove/Wawona Store.